You are not logged in. 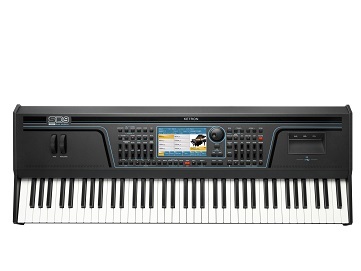 [Log In] Synth Zone » Forums » The Arranger Keyboard Forums » Ketron Forum » AjamSonic SSD Kit for SD40 ? #431903 - 05/19/17 11:46 AM AjamSonic SSD Kit for SD40 ? Is the SSD Kit 120 GB also available for SD40 to ? And if so, does this SSD comes with the Super Gold Style Package and over 90 new voices ? Please reach out to us directly at:- KetronUSA@AjamSonic.com for more information. how do i change sd40 ssd? Do I need to backup the original and just swap the ssd media? I'm not going to buy the AjamSonic SSD kit, I just want to exchange the ssd of 16 for a 240 GB.